This past weekend, Piranha Games announced MechWarrior 5: Mercenaries to a packed house of MechWarrior fans via a live stage demo at Mech_Con 2016 in Vancouver. 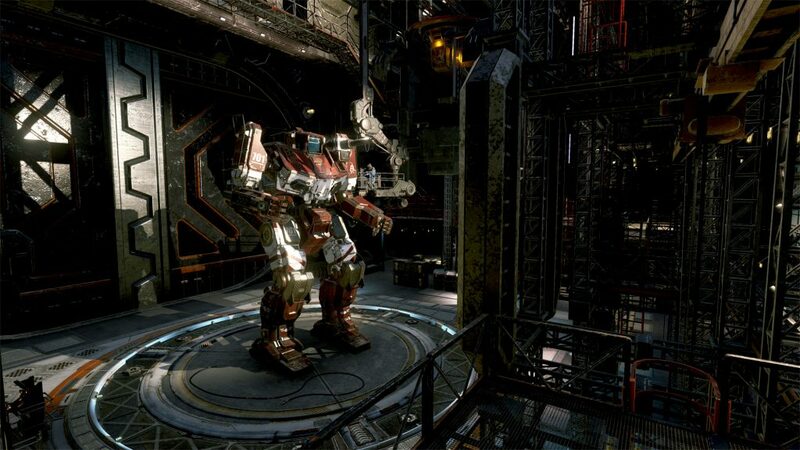 The first standalone single-player MechWarrior title in development for PC in nearly 15 years,MechWarrior 5: Mercenaries will feature intense PvE ‘Mech combat in an immersive, career-based Mercenary campaign driven by player choice. Featuring an advancing timeline starting in the year 3015, players will adopt the role of a green MechWarrior mercenary thrust into combat as the Third Succession War continues to fracture the Inner Sphere; the vast region of colonized space surrounding Earth. Victory, prestige, and profit will not only require skill on the battlefield, but in the maintenance and enhancement of your BattleMechs. Set for release in 2018, MechWarrior 5: Mercenaries is under development by a dedicated and separate development team at Piranha Games using Unreal Engine 4. "Our main goal with MechWarrior 5: Mercenaries is to provide fans with a standalone, story-driven single-player experience that allows for a great amount of flexibility in terms of player choice, built on a foundation of the intense, tactical ‘Mech combat the franchise is known for," said Russ Bullock, president of Piranha Games. “Along with the release of MechWarrior 5: Mercenaries in 2018 we're going to continue supporting our existing MechWarrior Online game and its fanbase with new updates and regular content releases. MWO is now in its fifth year of development and operation, and there’s still a lot of really cool stuff planned for it. For fans who have been waiting for the return of a true single-player MechWarrior game though, we are really happy to announce MechWarrior 5: Mercenaries." For more information about MechWarrior 5: Mercenaries, and to keep up to date with Piranha Games and MechWarrior Online, make sure to visit the MechWarrior Online website, or follow Piranha Games on Twitter through @PiranhaGames and @MechWarriorF2P.